Involvement Conference), November 14-17, 2013. In keeping with the principles of HOSIC, we empowered our students in the process of selecting a theme for the conference. 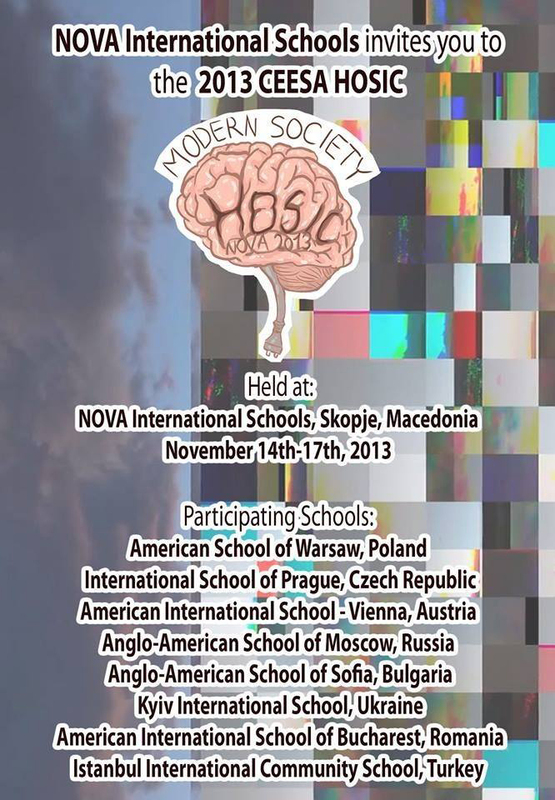 NOVA students together with students from the other international schools chose “Modern Society”, a topic that is interesting, challenging and relevant to them. 70 students and 12 teachers from 8 european countries will take part in discussing, debating and networking over the course of the following three days. We wish them a warm welcome to Macedonia, and a successful conference.